Our passion and central focus is on houses, historic renovations and some select commercial projects (often those in older buildings), but this year has seen some out-of-the-box projects as well. Recently, we worked with a couple on their plans for a serene, beautiful (and swimmable) pool in Montford. First, we helped them gain approval of the project from the Historic Resource Commission, and if realized, it will be that neighborhood’s first such installation. 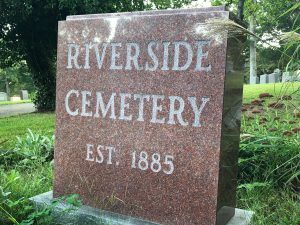 In Riverside Cemetery, also in Montford, we were asked to build a foundation and wall for a mausoleum. As with all projects, thorough planning and fine craftsmanship are integral to success.